Is there a revival of working-class confidence happening in Aotearoa? The PPTA and NZEI are going into bargaining with big pay claims (e.g. 16 percent over two years for primary teachers) and health workers went on strike for the first time in decades. The NZEI went on strike in winter, and will have rolling strikes in term four. So far this year there has been action by bus drivers, at Event Cinemas, Wendys, Auckland trains, Lyttleton port, Burger King, Blue Star Group printers and Silver Fern Farms. 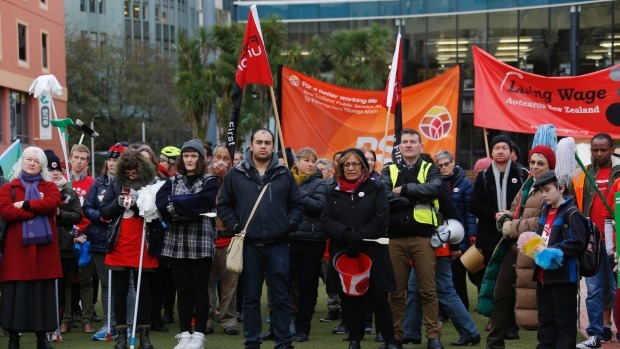 Wellington bus drivers begin an indefinite strike in late October. Their brothers and sisters in Auckland will follow. This revival takes place, however, in a context of ongoing crisis for our movement. Membership has fallen massively. In 1985 almost half of the workforce was in unions but, by the 2010s, less than 9% of those in the private sector are members. We lost some 320,000 members through the 1990s, as the Employment Contracts Act made it difficult to organise and easier for bosses to attack. Workers’ confidence to fight has slipped. There were 381,710 days ‘lost’ to strikes in 1988; by 2014 that number had slumped to just 1,448. The benefits of union membership are concentrated in the public sector, and union members are older than the working population generally. What explains this decline? Many commentators argue that the nature of work has changed over the last thirty years, making union power less relevant. We have seen the rise of a “precariat”, Guy Standing claims, drifting in insecure jobs with little to gain from unionism. Others look for new ways of building – the ‘organising model’ – that use community support and savvy media campaigning to work around our workplace weaknesses. Helen Kelly pioneered imaginative campaigning like this, and the Living Wage movement has won victories with similar approaches. There’s much here to support, but it still avoids, rather than confronts, the key question: without union power, the power of the strike, what future will our movement have? John Key came out this week and said it: New Zealanders are just too lazy or drug-addled to work, so we have to bring in migrants to “do a fabulous job” harvesting fruit and veges. 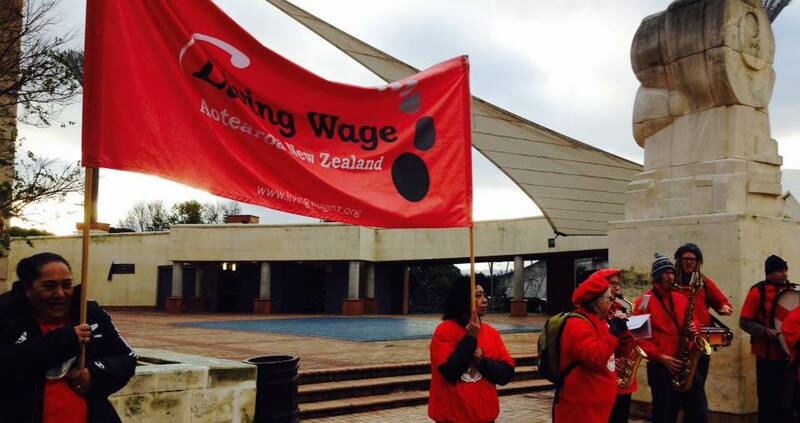 After a long debate, a meeting of the Wellington City Council on 28th October voted 9 to 6 in favour of security contract staff being paid a Living Wage. The Council already pays its directly-employed staff a Living Wage. Earlier this year the Council had resolved under the Long Term Plan that they would extend it to workers in Council-Controlled Organisations and, on a case by case basis, to contract workers. Recently the Living Wage was duly implemented at CCOs. The security and noise control contract has come up for tender and has been a test case for Mayor Celia Wade-Brown’s and the councillors’ resolve to carry the Living Wage policy through. Paying the security staff a Living Wage will add to the contract price.